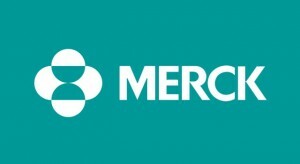 Merck & Co is set to acquire antibiotics maker Cubist Pharmaceuticals in a deal that is estimated to be between $7 billion and $8 billion. A report cited a source that said Merck would pay Cubist close to $102 a share with an official announcement to come during the early part of this week. Cubist Pharmaceuticals is the maker of Cubicin, which was approved initially in 2003 by the Food and Drug Administration for treating skin infections and received approval three years later as a drug to treat infections in the bloodstream. The company has a goal of developing new antibiotics before 2020 and set aside over $400 million to fund that goal. At current, it receives 80% of its sales from Cubicin. The company estimates $2 billion in sales by 2017 from Cubicin. Acquisition by Merck of Cubist will be one of the largest this year for the pharmaceutical industry as Merck eyes acquisitions of small to medium sized drug makers that would be a complement to its own line of products. Merck is the second largest U.S. based pharmaceutical company. It has focused its research on Alzheimer’s disease, diabetes and cancer. Drug makers are turning towards new acquisitions to sustain their growth due to expirations in patents. Merck has recently implemented a drop in its global workforce of 20% and sold to Bayer its consumer healthcare sector for over $14.2 billion. Merck had cash and its equivalents of more than $14.3 billion as of the end of September and total debt of $27.8 billion. The news of Merck’s acquisition of Cubist led to an increase in Cubist stock by more than 26% to $93.49 prior to settling at $91.25 in trading after hours last Friday. Merck’s aging drug portfolio and Januvia is diabetes top selling treatment is not growing as it had done before. The company recently was approved for Keytruda a cancer immunotherapy this past August. Merck purchased Idenix Pharmaceuticals, which develops drugs for hepatitis C for just over $3.89 billion.